It takes less than one-tenth of a second—a fraction of the time previously thought—for the sense of smell to distinguish between one odor and another, new experiments in mice show. In a study to be published in the journal Nature Communications online Nov. 14, researchers at NYU School of Medicine found that odorants—chemical particles that trigger the sense of smell—need only reach a few signaling proteins on the inside lining of the nose for the mice to identify a familiar aroma. Just as significantly, researchers say they also found that the animals' ability to tell odors apart was the same no matter how strong the scent (regardless of odorant concentration). "Our study lays the groundwork for a new theory about how mammals, including humans, smell: one that is more streamlined than previously thought," says senior study investigator and neurobiologist Dmitry Rinberg, PhD. His team is planning further animal experiments to look for patterns of brain cell activation linked to smell detection and interpretation that could also apply to people. "Much like human brains only need a few musical notes to name a particular song once a memory of it is formed, our findings demonstrate that a mouse's sense of smell needs only a few nerve signals to determine the kind of scent," says Rinberg, an associate professor at NYU Langone Health and its Neuroscience Institute. When an odorant initially docks into its olfactory receptor protein on a nerve cell in the nose, the cell sends a signal to the part of the brain that assigns the odor, identifying the smell, says Rinberg. 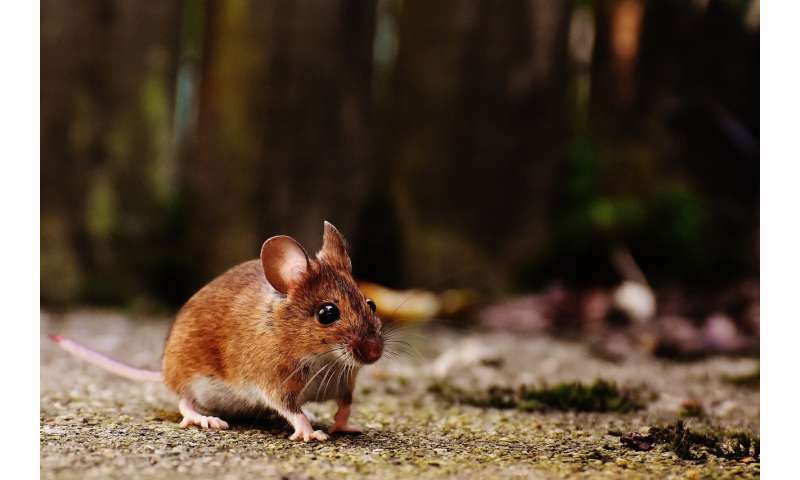 Key among his team's latest findings was that mice recognize a scent right after activation of the first few olfactory brain receptors, and typically within the first 100 milliseconds of inhaling any odorant. Previous research in animals had shown that it takes as long as 600 milliseconds for almost all olfactory brain receptors involved in their sense of smell to become fully activated, says Rinberg. However, earlier experiments in mice, which inhale through the nose faster than humans and have a faster sense of smell, showed that the number of activated receptors in their brains peaks after approximately 300 milliseconds. Earlier scientific investigations had also shown that highly concentrated scents activated more receptors. But Rinberg says that until his team's latest experiments, researchers had not yet outlined the role of concentration in the odor identification process. For the new study, mice were trained to lick a straw to get a water reward based on whether they smelled orange- or pine-like scents. Using light-activated fibers inserted into the mouse nose, researchers could turn on individual brain receptors or groups of receptors involved in olfaction to control and track how many receptors were available to smell at any time. The optical technique was developed at NYU Langone. The team then tested how well the mice performed on water rewards when challenged by different concentrations of each smell, and with more or fewer receptors available for activation. Early activation of too many receptors, the researchers found, impaired odor identification, increasing the number of errors made by trained mice in getting their reward. Researchers found that early interruptions in sensing smell, less than 50 milliseconds from inhalation, reduced odor identification scores nearly to chance. By contrast, reward scores greatly improved when the mouse sense of smell was interrupted at any point after 50 milliseconds, but these gains fell off after 100 milliseconds. Quick – What’s That Smell?